As of June 20, 2016, CCWD has implemented a new payment processing system called Paymentus. To use the new system, all CCWD customers must create new online accounts. Existing accounts created using our old system will not work after August 31, 2016. Enrolling in the District's new system will ensure that customers have quick and easy access to their CCWD accounts through the "Customer Portal". This new system allows customers to make one-time payments, enroll in AutoPay, view e-Bills, set up email payment reminders, and easily manage multiple accounts. Registering is easy and only takes a few minutes. If you have more than one utility account, you may add additional accounts by clicking on the "Accounts" tab and clicking on the "Plus" icon. Follow the same steps listed above to add additional accounts. 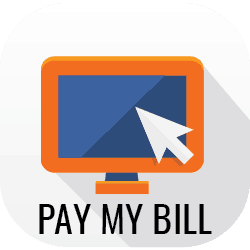 Click the "Plus" icon next to "Add Schedule"
Select the Utility Bill Account you wish to set up with AutoPay and click "Continue"
If you have already added a payment method, it will appear and you can select it. If you have not added a payment method, you can add one by clicking "Add new". This will bring up a new screen called "Add Payment Method"
Select "Credit" "Debit" or E-Check" and complete the form. Once the form is complete, click "Add" then click "Continue"
To set up another account for autopay, click "Back to AutoPay"